As a business coach I’m frequently having conversations with business owners around the topic of marketing. 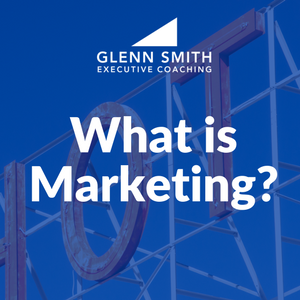 The common question is, “what is marketing?” In fact, questions related to lead generation seem to be the number one concern that I hear raised every week. However, when I am asked “What is marketing?” there is one word that immediately comes to my mind – education. It is about educating your target audience (e.g. your “Ideal Customer”) on the distinct benefits and value of doing business with you. But your focus should not only be on your target audience. It should also include your current customers and your referral sources. I advise my clients that their #1 marketing priority is to market to the customers you already have. Why? Because your best customers are your competitors best prospects! Trust me, your competitors are targeting them! Marketing is understanding the needs and desires of the people whom you want to do business with. Then it is providing them with critical information. This information will tell them who you are, how you meet those needs, and why they should look to you and your company to meet those needs. Marketing is not mystical though many business owners feel this way. Many feel lost and uncertain when it comes to what works and what doesn’t work. Some spend lots of money because they know their business depends on this lead generation activity. However, many (if not most) are unsure if their money is well spent. It feels like they are shooting in the fog. Because this is such a huge issue for most business owners I sometimes function more like a marketing consultant than an overall business coach. However, since marketing is such a central component of a successful business this is to be expected. In fact, a good business coach may be the best person to look to for unbiased advice since they do not typically sell any particular marketing mediums or services. I encourage business owners to track every dollar they spend on marketing. You should develop systems to measure the effectiveness of your “education” process. Your business will not survive without effective marketing. Make sure you have a reliable and effective plan! If you want to create a simple, executable marketing plan that works for you, feel free to Contact Us for a free, no-obligation strategy session or consultation. We’d love to help you create a marketing engine that generates you leads. 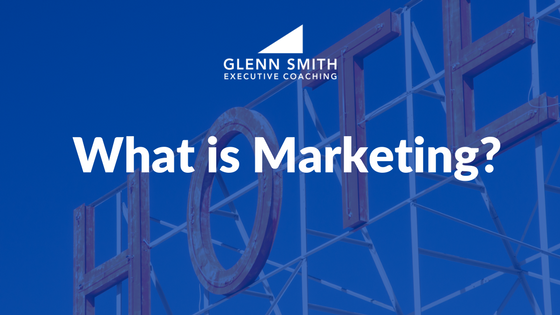 Many business owners lack confidence when it comes to marketing; by answering the question, "What is Marketing?" we gain tremendous help.